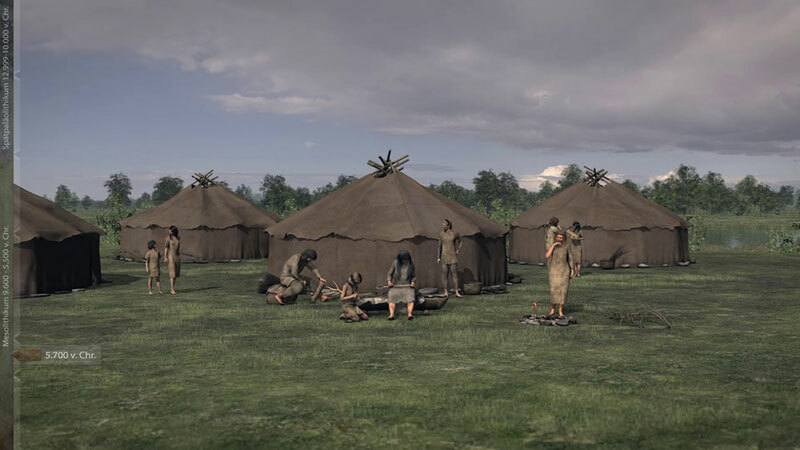 ArcTron3D produced this short film to be shown at the Mesolithic exhibition at Museum Fuerstenfeldbruck. 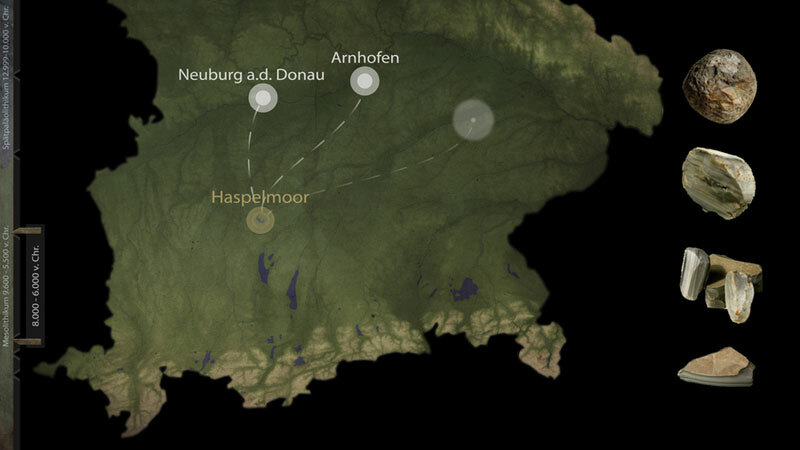 It focuses on archaeological finds and findings on the Haspel swamp in Fuerstenfeldbruck. At abut 9,500 BC people settle on the shores of a small peninsula at the newly formed lake Haspel. They build yurt-like tents made of hides and hazel rods. The film talks in particular about the topics scenic change, nutrition, raw material prospection, changes of the landscape and the technology as well as the transition to the Neolithic period. 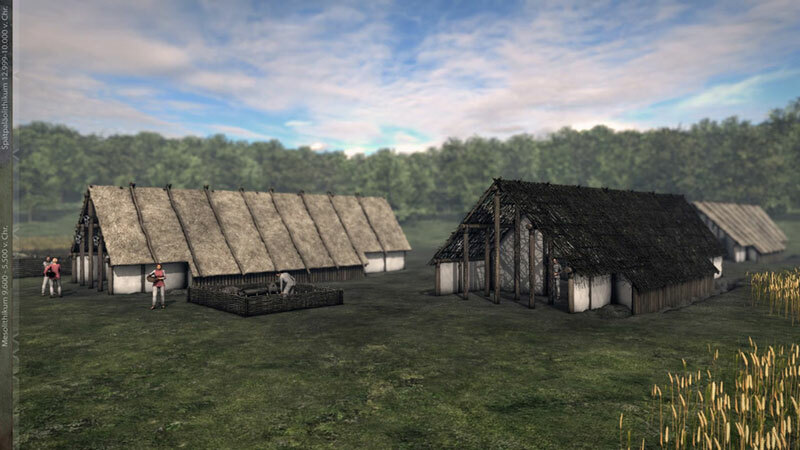 The concept of using 3D animated snapshots and stills was chosen to visualize the szenes of daily life in the past.